Alzheimer's disease is a devastating illness, but unique treatments like the hormone melatonin may be able to improve difficult symptoms such as sleeplessness and sundowning. Melatonin has many roles in the body, but it's particularly important in sleep regulation. Melatonin is produced in the brain by the pineal gland. This gland releases its peak level of melatonin at dusk, and the hormone appears to be instrumental in the cascade of changes that we call falling asleep. Research has long established that melatonin levels naturally decrease with age, but people with Alzheimer's disease have especially low levels -- sometimes only half as much as people of the same age who don't have the disease. Also, sleep disturbances are frequently a symptom of Alzheimer's. 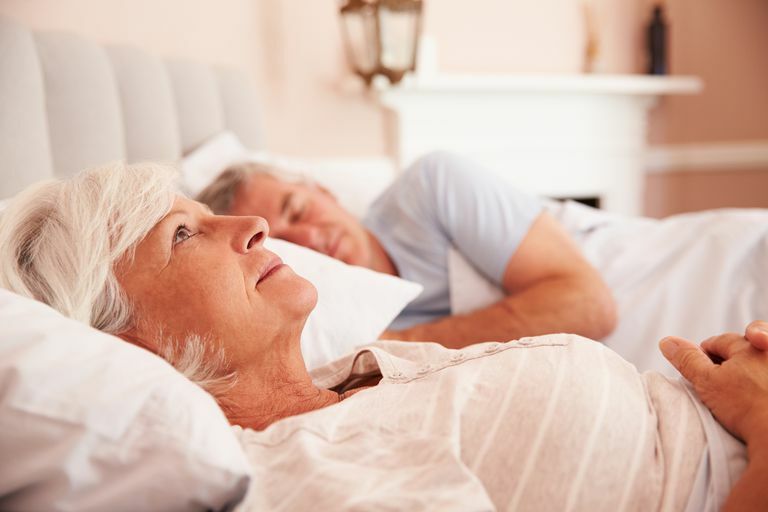 In recent years, a number of studies have reported benefits of supplemental melatonin, not only for reducing Alzheimer's-related sleep problems but for sundowning as well. Sundowning refers to behavioral disturbances that are fairly common in Alzheimer's disease and tend to occur in the early evening. For reasons that aren't entirely clear, many people with Alzheimer's exhibit increased confusion, anxiety, agitation and even aggression at the end of the day. According to the Alzheimer's Association, nearly a fifth of individuals with Alzheimer's disease will experience periods of sundowning, usually in the middle stages of the disease. Sundowning takes a toll on those who have Alzheimer's and contributes greatly to caregiver stress and fatigue. Luckily, there's evidence that melatonin can help with sundowning and related sleep disturbances. Melatonin may also have other benefits. It's a powerful antioxidant, acting to counter harmful chemical reactions that can damage cells. It appears to have specific neuroprotective qualities, meaning that it helps protect nerve and brain cells from damage. There's also evidence that having an insufficiency of melatonin plays a role in depression. Some studies suggest that the hormone can improve mild cognitive impairment, although researchers emphasize that the effect is limited and that melatonin isn't a "cure" for full-blown Alzheimer's disease. Some researchers caution that the impact of the hormone would be relatively less in late-stage Alzheimer's. Researchers have begun developing "melatoninergic" or melatonin-type drugs that are longer-acting and have more specific targets. For instance, Rozerem (ramelteon) has won FDA approval for long-term treatment of sleep disturbances. But thus far, no melatonin-type medications have been developed specifically for Alzheimer's disease or sundowning. More scientific studies need to be done on using melatonin supplementation in Alzheimer's disease to really understand its true benefit (or not). But since melatonin is classified as a supplement, it's available without a prescription. That being said, before you give the hormone to someone with Alzheimer's, you should consult his or her physician, who'll be able to determine whether it makes sense. Cardinali, D.P. "Melatonin. Physiology and Clinical Applications." Vertex,2007 Jul-Aug;18(74):288-93. Cardinali, D.P., Furio, A.M, & Brusco, L.I. Clinical aspects of melatonin intervention in Alzheimer's disease progression. Curr Neuropharmacol. 2010 Sep; 8(3): 218–27. Cardinali, D.P, Furio, A.M., & Reyes, M.P. "Clinical perspectives for the use of melatonin as a chronobiotic and cytoprotective agent." Ann N Y Acad Sci., 2005 Dec;1057:327-36. Furio, A.M., Brusco, L.I., & Cardinali, D.P. "Possible therapeutic value of melatonin in mild cognitive impairment: A retrospective study." J Pineal Res., 2007 Nov;43(4):404-9. Pandi-Perumal, S.R., Srinivasan, V., Poeggeler, B Hardeland, R., & Cardinali, D.P. "Drug Insight: the use of melatonergic agonists for the treatment of insomnia-focus on ramelteon." Nat Clin Pract Neurol 2007 Apr;3(4):221-8. Sanchez-Barcelo, E. J., et al. "Melatonin and melatoninergic drugs as therapeutic agents: Ramelteon and Agomelatine, the two most promising melatonin receptor agonists." Recent Patents on Endocrine, Metabolic & Immune Drug Discovery. 1:2(2007): 142-51. Srinivasan V, Pandi-Perumal SR, Cardinal DPi, Poeggeler B & Hardeland R. Melatonin in Alzheimer's disease and pther neurodegenerative disorders. Behav and Brain Funct. 2006 May 4;2:15. Wu. Y.H. & Swaab. D.F. "Disturbance and strategies for reactivation of the circadian rhythm system in aging and Alzheimer's disease." Sleep Medicine. 2007 Sep;8(6):623-36. Epub 2007 Mar 26.